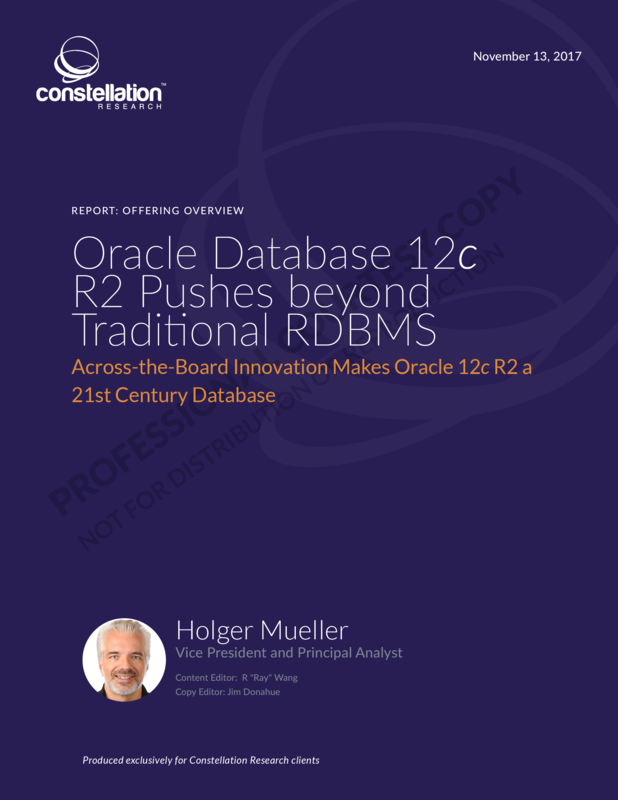 Oracle Database 12c R2 Pushes beyond Traditional RDBMS | Constellation Research Inc. This offering overview provides an overview of Oracle’s current database product, 12c R2. This report identifies key differentiators, measures Oracle Database 12c R2 against Constellation’s seven criteria for a next-gen database product and concludes with recommended implementation scenarios.